By making these SEO changes now, you can still have a real impact on your short-term success over the Christmas period. It’s mid-November, and if you’re yet to start on your Christmas strategy, you wouldn’t be a fool for thinking your time has run out to make an impact this year. However, there’s still plenty of time to get your Christmas SEO list in order. SEO is constantly evolving with several algorithm updates being real-time now, meaning there’s never a time to rest on your laurels. As such, there are things you can do between now and the big day that will have a positive impact on your sales, rankings and overall performance over the festive period. Here are some things you can do to start making short-term wins. Christmas = presents = frantic parents = Google searches. The first thing a customer will see of your site is your page title and meta description. This is very much your online shop window. So, it’s no surprise that optimising these should be your priority when it comes to Christmas quick wins. Meta Description: Take a look at our list of the best Christmas kids toys available now! With board games, puzzles, computer games and more, we have plenty of children’s toys that can be delivered in time for Christmas 2018. Meta Description: We sell lots of kids toys like Peppa Pig, Pokemon and Barbie. We sell PS4 games, xBox games and Nintendo DS games too. The first one is simple, serves the customer intent and mentions ‘delivered in time for Christmas’ in the description. We know this post is up to date because the title includes the year. We also know it’ll be a list – easy to digest with ten great options. We’ve managed to gather all this information from a title and short description. The second one, however, offers us a selection of toys and games consoles. Of course, that’s assuming that you know what a PS4, xBox or Nintendo DS is. This isn’t helpful for anyone who’s not too familiar with video games or anyone not looking for one of these specific toys. The main thing to remember about festive shoppers is they’ll mostly be buying for other people. This means they’re not experts on what they’re searching for. You need to optimise for the people who are purchasing your product as a gift as well as those who would buy your product for themselves. This is a no-brainer. If your category pages only have traditional SEO copy of around 300 words, you need to update it, pronto. Enhanced copy is user-centric and focuses on providing answers and genuine help to prospective customers. Rather than just stuffing your copy with a load of semantically relevant keywords, this kind of copy reads more like an article than a sales pitch. Improving your page copy to talk about all the sub-categories in your category, include related keywords and serve the user intent usually puts it at around 700+ words. It works, too. One of our own clients saw a 284% increase in visibility within a month of updating their ‘single beds’ page with enhanced content. While it may take some time to get good copywriters to produce rich content, the value is undeniable. What better way to celebrate Christmas than by dominating the top of the SERPs? The coveted position 0, featured snippets allow you to take up that space and give a customer what they want without even having to scroll. The most common featured snippets are for question-based searches which play perfectly into Christmas shopper queries. Aside from taking up valuable Google real estate, featured snippets also steer voice search, and with 2 in 5 adults using voice search once a day, a featured snippet could really boost your clickthrough rate. Answer questions – optimise your H2s using relevant queries that customers might have. answerthepublic.com can help you identify these questions. Nobody can guarantee you’ll end up in a featured snippet if you make these changes, but there’s no harm in trying. At worst, it’ll improve your post readability and hopefully rankings. At best, you’ll be in position 0 in time for your turkey. 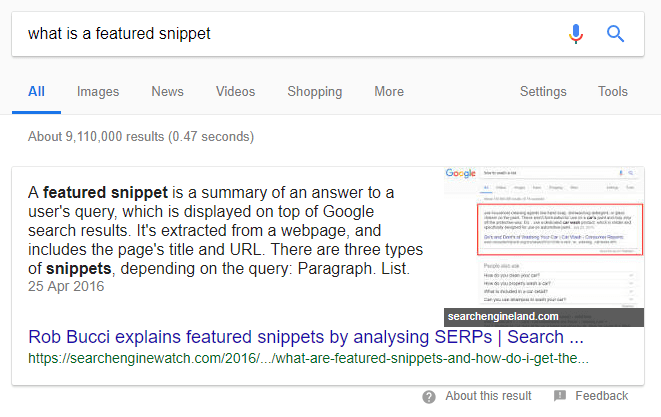 Google produced this article about featured snippets if you need any more advice. You’ve improved your product category content; now you need to look at your blog. If you’ve already got a blog post or guide that performs well and gets traffic, update the piece with new products to maximise conversions. Listicles and ‘Best X’ articles are perfect for this. Remember to answer questions that buyers will want to know. How does it work? What makes it special? What are the best/worst bits? Keep your URL structure simple and don’t include dates. That way, you’ll ensure the post stays evergreen; it can be updated again next year, and the old content archived in a different location. Then your 2019 content can go into the original URL. By using the same URL, you can keep the authority and trust you have hopefully built up if the content received any links in previous years. This one requires the help of a developer, but it’s worth the results. Schema markup is code used on your site that search engines can read to get a better understanding of your page content. Google can then interpret your site better and provide a rich result of your page. Rich results such as review schema can act as a trust signal and encourage users when deciding which site to click on. These star ratings can also boost your traffic by around 35%, so it’s worth making the effort to get them on your listings. 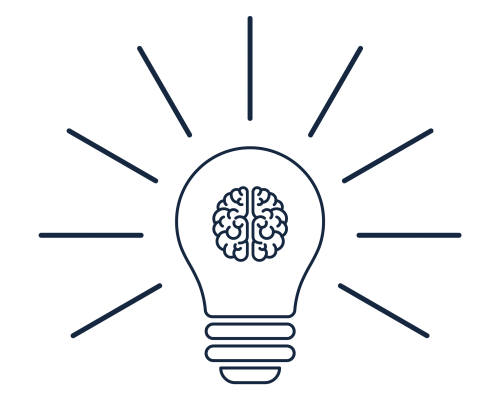 Using schema markup on your pages can help with rich snippets, too, as it allows search engines to categorise your site content properly, highlighting important aspects that Google should pull out. This article by Search Engine Journal can give you a full rundown of Schema and what it can do for your site. Want us to help you do all of this? Set us a challenge and we’ll get right on it. Gemma is our Content Marketing Executive, travel obsessive, gin connoisseur and cat mum. Novelty stationery is her speciality.